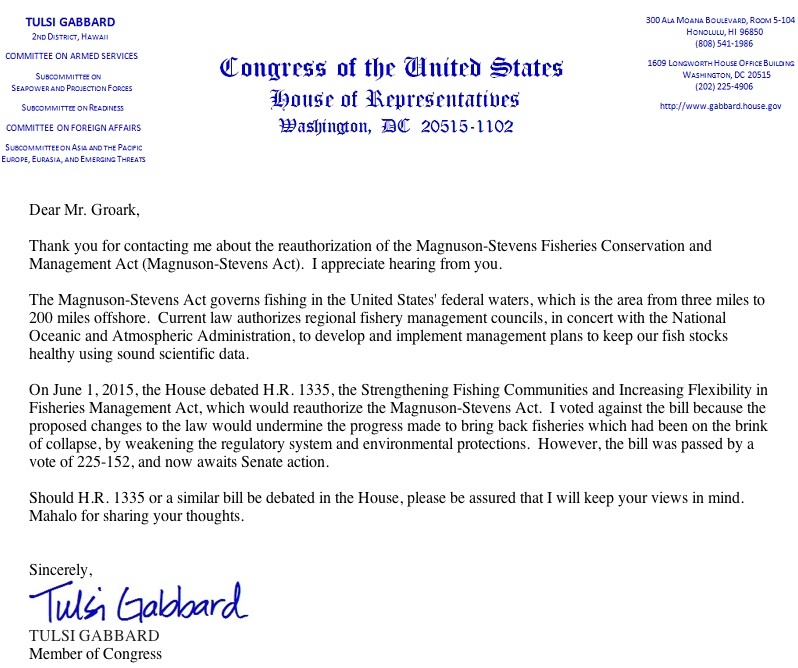 We were saddened to hear that our elected officials have voted to “reauthorize” the Magnuson-Stevens Act. This was an important piece of legislation that managed fisheries from 3 miles to 200 miles offshore – in order to keep fish stocks healthy using sound scientific data. It’s no secret that fish stocks are in decline world wide and need our help to manage them – but Congress somehow sees it differently – only looking in the short term to keep $$$ in fisherman’s pockets vs having a long term plan to help stocks prevail and recover.